The rooms of the three star Le Relais Fleuri are modern and cosy. 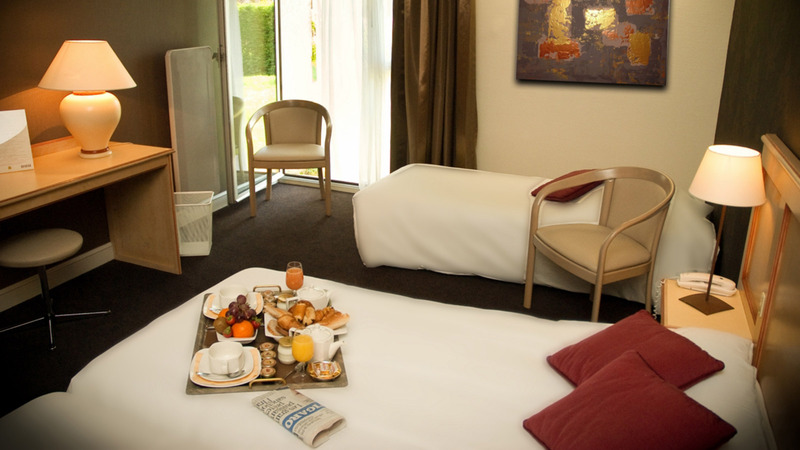 Close to Avallon, the rooms are decorated with taste and guarantee a calm and comfortable night. Whether it be for a week-end or a week’s holiday make the most of your stay in Sauvigny les Bois. The rooms have a bathroom with shower or bath and a hair dryer. Refined decor with pastel colours, no detail has been overlooked to guarantee a stay of quality. Superior rooms overlooking the park available for two or three people. The Standard room is bright and functional and faces the garden. The bed linen and choice of fabrics have been specially chosen for you to enjoy a good night’s sleep. The hotel Le Relais Fleuri offers the Standard room with shower. The room is a twin and is situated facing the park. The last category is adapted perfectly for families with one or two children. In fact this room is designed to accommodate four people comfortably. It is orientated towards the park and allows you to spend a few days of your holiday in the Yonne in calm and tranquility.